Updates from the Sydney Summit keynotes. 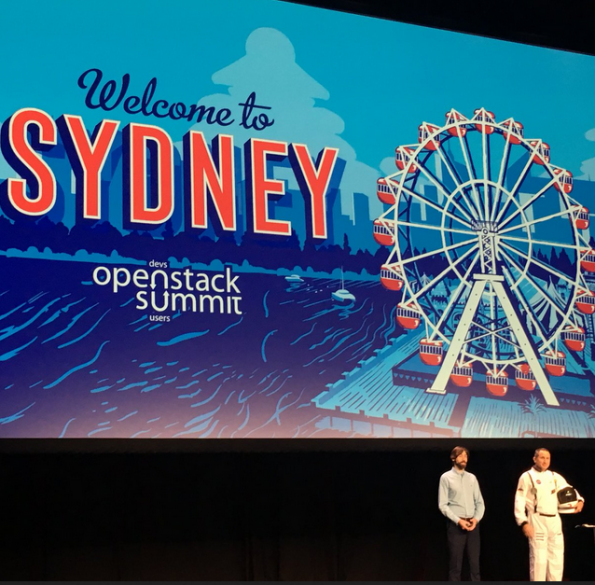 SYDNEY — Even a spring storm didn’t dampen spirits at OpenStack’s first Australian Summit. The 16th keynote brought a mix of new announcements and fascinating case studies. There’s a new way to move forward with OpenStack: The Passport program. 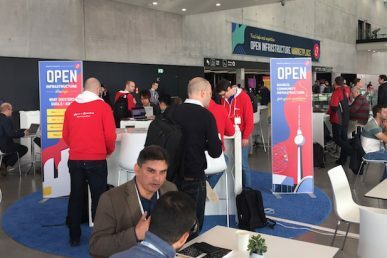 Launched by the Foundation’s Mark Collier and Lauren Sell, it’s a collaborative effort between OpenStack public cloud providers to let you experience the freedom, performance and interoperability of open source infrastructure. The pair showed a world map with OpenStack public clouds to show just where you can go with OpenStack. 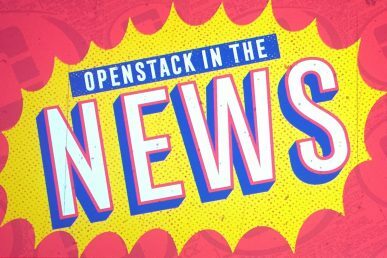 To explore more on what this means for everyone, they were joined by OpenStack public cloud user Monty Taylor, who provided an update on Zuul v3. Zuul v3 is the third major version of the project gating system developed for use by the OpenStack project as part of its software development process. This latest version uses Ansible in place of Jenkins Job and supports GitHub. Jonathan Bryce, OpenStack Foundation executive director, was joined onstage by OpenStack Board Member Allison Randal to talk about how as OpenStack technology has matured and been deployed in thousands of clouds around the world, the number of industries, workloads and even the form factor for delivering infrastructure is becoming increasingly diverse. 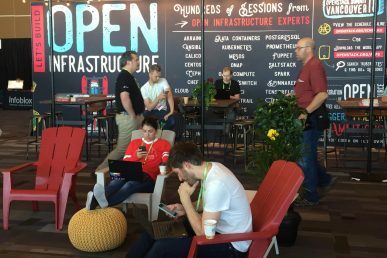 The pair discussed how the OpenStack Foundation and community is evolving to meet these diverse needs and how the community is tackling the biggest challenge in open source: integration. More on that from the press release, here. Bryce also introduced OpenLab, a community effort to do large scale end-to-end testing. OpenLab is an effort to pool resources for the things you build on top of OpenStack. One of the key needs for such things are solid SDKs and continuing improvement of their interaction with APIs. As usual, there are some fearless folks who risk a live demo in front of thousands. This time it was a trio from AT&T: Sorabh Saxena, Ryan van Wyk and Alan Meadows. They came up to talk about how AT&T’s network has evolved since its 2015 announcement of the AT&T Integrated Cloud (AIC). Today, AT&T provides an enhanced software-defined networking services ecosystem that touches every industry, supported by OpenStack at its core. The example they brought on stage was a timely one: FirstNet, which supports some three million first responders across the us. It’s always available, secure and geo diverse. The Tencent TStack team was chosen as winner at the Sydney Summit. The award was presented during Monday’s keynotes by representatives from the previous winners, Paddy Power Betfair’s Thomas Andrew. Joseph Sandoval and Nicolas Brousse Adobe Systems took the stage to talk about how they’re running OpenStack on six data centers in the US, Europe and Asia, 100K cores with a team of just four. Adobe Advertising Cloud is running OpenStack in production in a high volume real-time bidding application that requires low latency and high throughput to meet growing customers demands. More details on the Superuser article here. Lew Tucker, Cisco CTO, took the stage to talk about how they’re working in a complex world made up of large public cloud service providers, private clouds, and legacy systems. Meanwhile, customers are demanding a seamless and secure experience across these environments. 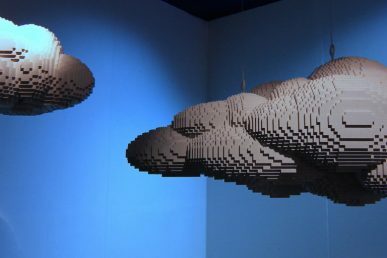 Containers and microservices-based architectures running in the cloud make it easier for application developers, but may bring in a new set of issues and complexities as the line between applications and services becomes blurred. Cisco’s cloud portfolio includes hybrid cloud solutions, cloud apps, security, networking and cloud professional services. The morning closed out with a fascinating look into two Australian research projects. The first from Professor Brendan Mackey, director, Griffith Climate Change Response Program, was about how OpenStack can help fight human created climate change by letting every Australian relate climate change to biodiversity. The second was a fascinating look into brain research imaging with Professor Gary Egan.